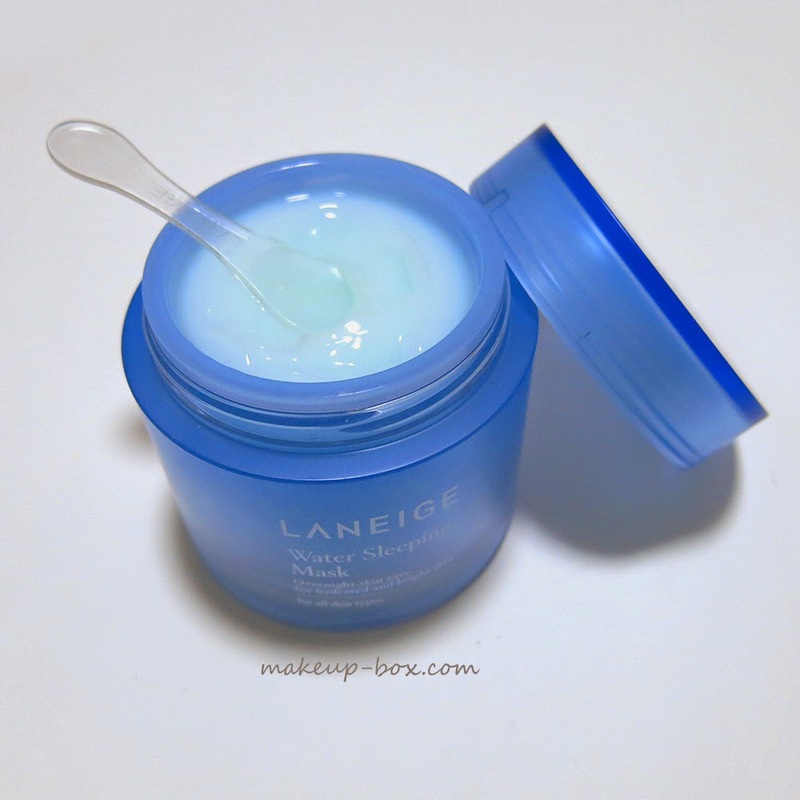 LANEIGE'S cult favorite overnight hydration mask, the Water Sleeping Pack, is one of the brand's bestsellers, having sold 16 million units since 2002. The concept of using sleeping masks is based around the skin's repair and detoxification cycle. At night is when skin regenerates itself and skincare has the biggest effect. However, it's also the time where your pores are open and you lose the most water. So sleeping masks are designed to help boost that repair cycle while minimizing moisture loss. Detoxify and repair with Hunza apricot extract and Evening Primrose Root. Both ingredients are antioxidants and also help the skin to discharge contaminants that accumulate during the day. According to a clinical study done by LANEIGE, the product supposedly reduces pore size and boosts radiance after a week's use. Hydrate without being heavy or occlusive, with a beta-glucan mineral complex. Apparently, tests showed that after a week of use, this had a more noticeable effect on those who had had a bad night's sleep. Not that you should be using a sleeping mask to replace sleep, but if you don't have a choice, then slap this on you won't look quite as bad as you usually do without rest. Aromatherapy with natural orange flower, rose, ylang ylang, and sandalwood oils to prolong deep sleep by 36% (according to LANEIGE'S clinical data). Improving quality of sleep in turn strengthens your skin's natural regenerative abilities. I can't in all honesty say that it's been a magical cure for my skin. I do enjoy applying the fresh texture; it absorbs instantly and feels cooling on the skin. And it's nice for a quick boost of moisture. But for people with dry skin or dry patches like me, this might not be sufficient to make a huge difference in terms of hydration levels. I can see this being great for oily to normal skins though. I also am not 100% certain if it boosts sleep because the scent disappears after application, once it sinks into the skin. It does smell very pleasant though. I haven't given it enough of a test to say if I see any noticeable differences in my skin but I think the biggest draw for me would be the detoxifying and antioxidant properties of some of the ingredients, and how it can complement your natural repair processes. 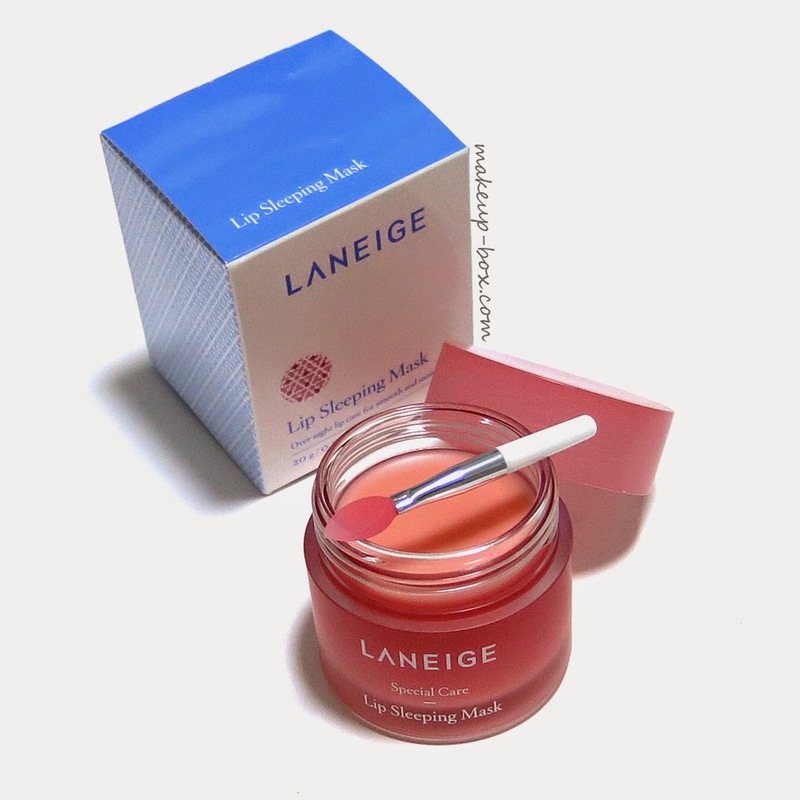 Besides the face Sleeping Mask, LANEIGE has also launched another product which I am actually MUCH more excited about, lip balm junkie that I am. 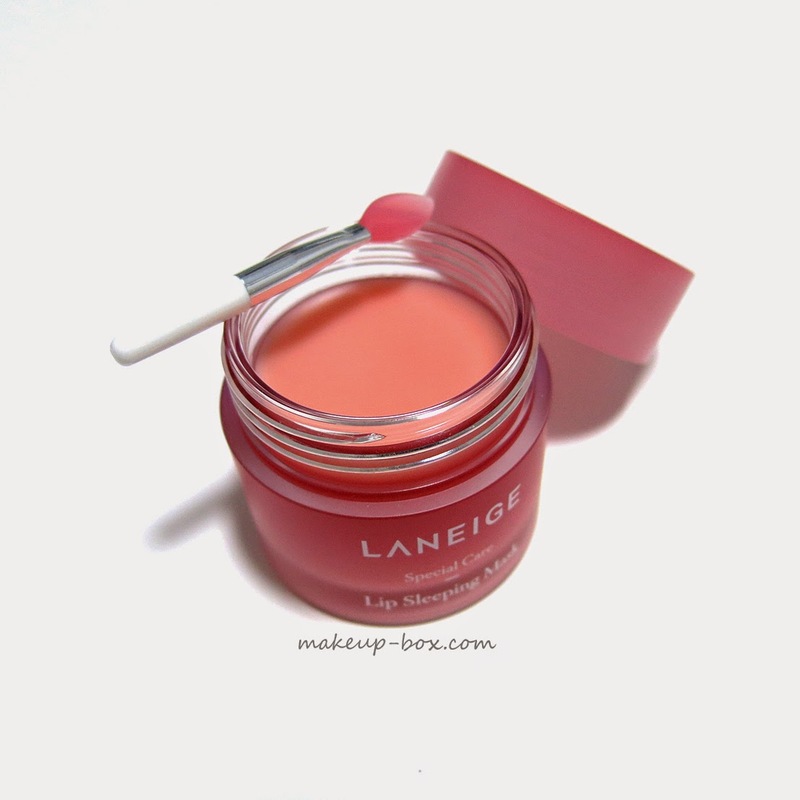 The Lip Sleeping Mask (SGD$27) is a gorgeous, gorgeous pot of soft treatment butter for the lips. It contains a concentrated Berry Mix Complex including 8 berries (strawberry, blueberry, cranberry, gojiberry, soapberry, cloudberry, and coffee berry), and we all know berries contain a load of antioxidants and are great for the skin, both consumed and applied. But it's really the sensorial experience that I love. This smells fruity and sweet, and just melts into the lips like you wouldn't believe. If you are a makeup artist, you might want to pick up a couple pots of this to condition your clients' lips before applying makeup because it smells SO good, feels SO good, and it actually smooths the lips quickly without being all waxy and thick. The little silicone spatula is just darling too. But I just get in there with my fingers. And I use it as a lip balm anytime of day. Not just before bed. And at $27 a 20g jar (a typical pot of Philosophy Kiss Me Goodnight lip balm has 9g of product), this is not a small pot! It will last a good long while, and do a lot more good for your lips than the typical wax 'n' oil lip balms around with much cheaper formulations. The LANEIGE Water Sleeping Mask and Lip Sleeping Mask will be in stores in Singapore on 7 May 2015. For those of you in the US, LANEIGE skincare is available at Target. I'm not entirely sure how soon these 2 products will be released, but the original Sleeping Pack is definitely being sold. Fingers crossed that the updated formula - and especially the Lip Sleeping Mask - will be on the shelves soon. cheap ray bans uk See cheap want cheap ray bans uk to get angry, and quickly went on to say that you did the old cheap ray bans uk man in the dream, but the dream is not your ordinary dreams, your entire cheap ray ban sunglasses uk consciousness in this dream, this is the prehistoric civilization practitioners specialized research in cheap ray bans uk cheap ray bans uk order to practice out.